The weather has been fantastic this week. It's hard to have a bad day on the water with conditions like these. We had 4 trips out this week with some good results. The offshore fishing has been improving with better catches this weekend. Capt. Derek managed some real nice haddock and some jumbo cusk on Saturday. 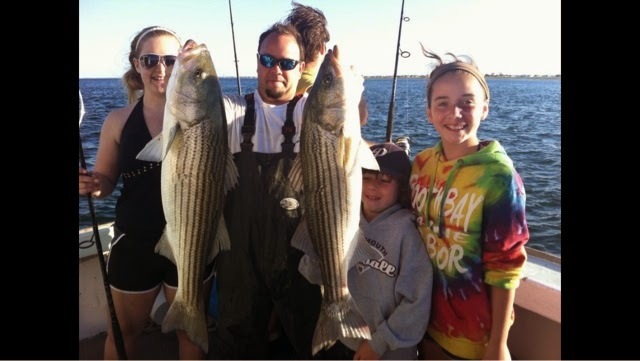 The stripers are still biting very good! We have trips Tuesday and Wednesday this week but have several openings including a day this weekend. Give us a call and get out here! Ps the whale show was fantastic all weekend on the ledge with massive humpbacks surface feeding and breaching out of the water!